You can judge this book by its cover. 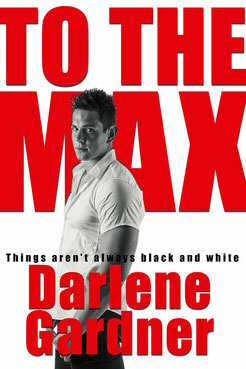 FBI agent Max Dolinger is pictured in black and white on the eye-catching cover of To The Max for a good reason. That's the way Max sees the world. And it's about to get in the way of his relationship with the woman he's falling in love with. Available digitally for the first time, To The Max is an updated version of a book from my backlist. Because of Max's rigid way of looking at right and wrong, I thought it would be fun to try something different with the cover. My cover artist, who happens to be my daughter, agreed. She had the idea to contrast red lettering with the black and white image of Max. In the book, Sara Reynolds enlists Max's help in keeping her brother out of jail. Trouble is, Max thinks her brother probably belongs there. Will Max ever be able to see shades of gray? You'll have to read the book to find out. Click here for more information about the book, including buy links.